Provide comfort for the family of Opal Mae Elliott with a meaningful gesture of sympathy. Opal Mae Elliott, 80, died Sunday afternoon, Jan. 6, 2019 at Cordele Health and Rehab. She was born in Marion, N.C. to Andrew Davis and Myrtle Shuford Davis. She is the widow of Joe D. Elliott. She was a homemaker and member of Skyline Baptist Church in Johnson City, Tenn. She enjoyed crocheting and sewing. She is survived by her daughters: Darlene (Mike) Wehunt of Vienna, Ga. and Sandra (Jill) Powell-Elliott of Barnegat, N.J.; her grandchildren: Wayne Wehunt and Andrew (Nissa) Wehunt; and her great-grandchildren: Daniel Wehunt, Alyssa Wehunt, Abigail Wehunt, Aiden Wehunt and Alivia Wehunt. The family will receive friends Thursday, Jan.10, 2019 at 10 a.m. at Kirksey Funeral Home in Marion N.C. The funeral service will follow at 11 a.m. in their chapel with burial in Cherry Springs Memorial Park in Old Fort. 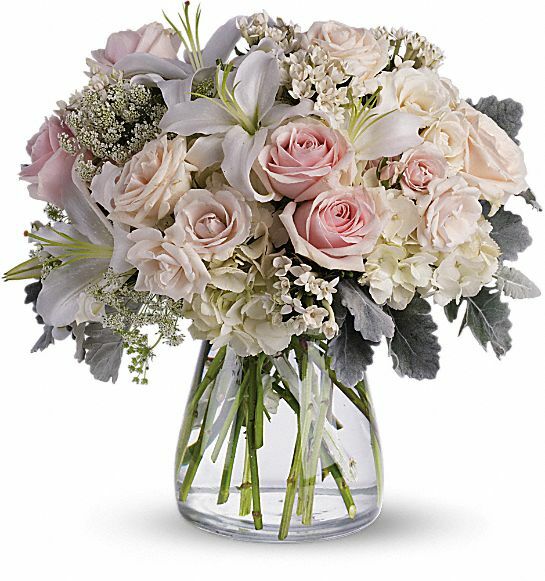 N.C.
To send flowers in memory of Opal Mae Elliott (Davis), please visit our Heartfelt Sympathies Store. We encourage you to share your most beloved memories of Opal Mae here, so that the family and other loved ones can always see it. You can upload cherished photographs, or share your favorite stories, and can even comment on those shared by others. Helen Cunning and HMH Foundation Colleagues, North sent flowers to the family of Opal Mae Elliott (Davis). Helen Cunning and HMH Foundation Colleagues, North purchased flowers for the family of Opal Mae Elliott. I am so sorry for your loss. You are in my thoughts and prayers for strength during this time. Love You!